Moving out to a new a location is both physically and emotionally draining. However, more to think about is the fact that moving out to a new location will be financially challenging, too. Yes, moving to a new place whether with little things to move out or a full baggage to do, the challenges and risks are just the same. Are there any ways that can be done to mitigate the high expense of moving out? Get more options by calling on a lot of potential service providers. One of the initial steps that one should follow is to get more options before making a final decision. You should contact a lot of companies that can provide you the services that you want before making a finality and agreeing on any commitment. You can ask some of your friends or relatives for some referrals and carefully study all your options. Ask for a binding quote at an instant. A binding quote is necessary to have before making any final decision as to which company should be your service provider. A binding quote shows all the prices that you need to pay after adding all the extra charges that are associated with the services that will be handed. With a binding quote price, you are assured of the figures that you need to pay and need not worry about any additional charges that may be placed on the quote. Book and reserve the service ahead of time. Reserving and booking your service ahead of time can greatly save you a lot of money. Just like any other service oriented companies, the service that was booked earlier than the expected delivery of the service will give you the chance to a discounted price. It is a must that you mind booking your company provider earlier. 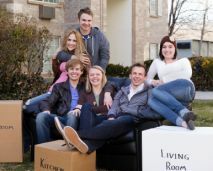 Scout for people who can help you move out at a very low price. Instead of hiring the human service of the company, you can ask your friends, relatives, or your neighbors to help you in packing your things and loading them onto the moving out van. This will help you save more money that you can use for other things while bridging better and harmonious relationships with your family members and the members of the community. Try other options when there is a need. You do not need to always conform to what the majority is doing because you can always try other new things that have not been tested and tried yet. It is only with this that you can be able to discover the best option. With these things in mind, you can be assured that you will have more savings in your pocket. All you need to do is to religiously follow these guidelines and enact them whenever possible.